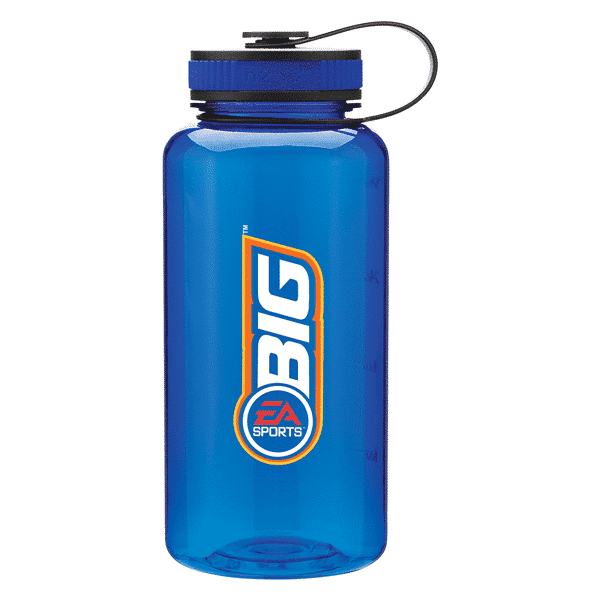 The 34 oz h2go Tritan Wide-Mouth Style Bottle is a great alternative to our Nalgene wide-mouth bottle. It is also a (BPA-free) Eastman Tritan copolyester bottle and has a threaded lid with retaining loop. 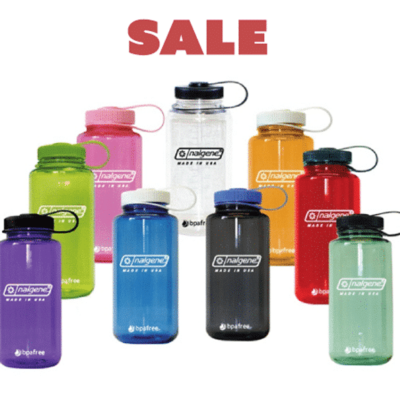 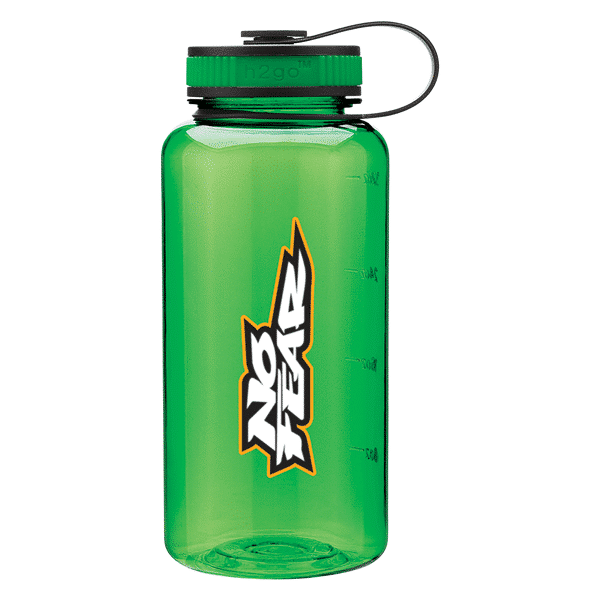 We are happy to offer a mixture of h2go bottle colors for your order. 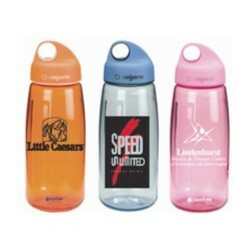 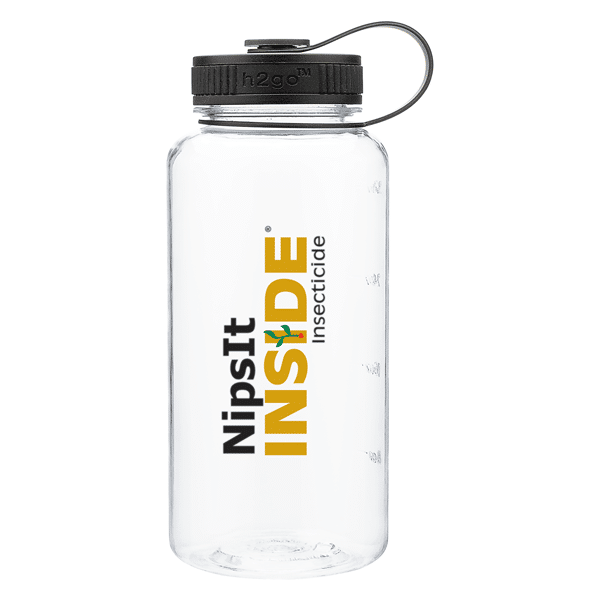 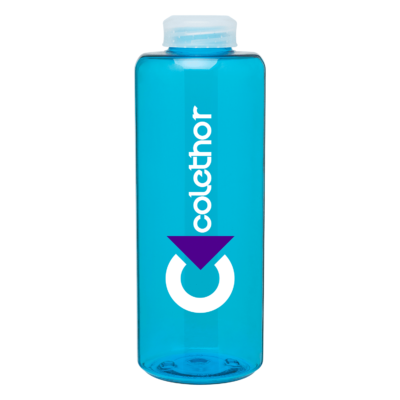 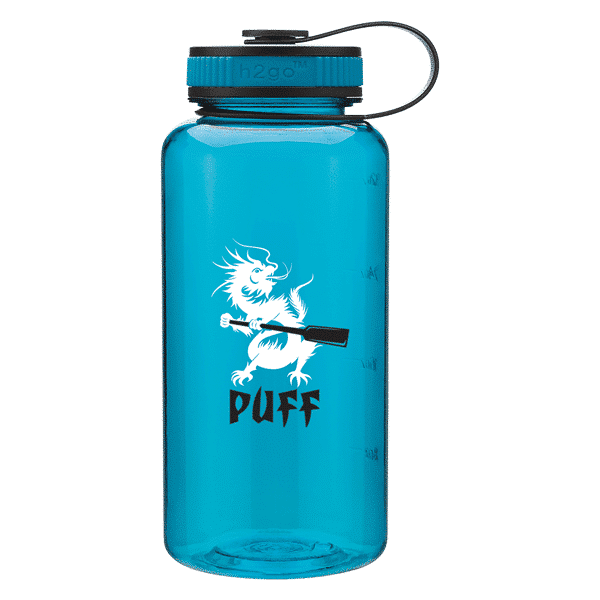 We will help you select your bottle color(s) to ensure they work well with your imprint color. 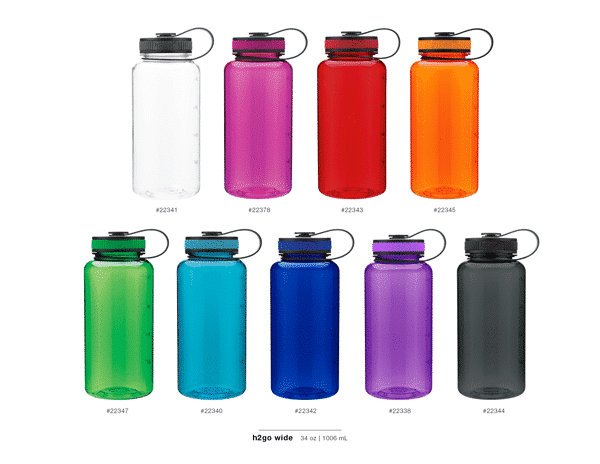 Each bottle color should be at least 24 bottles – which is a case size.